Cat paw is an essential part from cat. It has many function which aid cat to do many things, such as to walk, have a balance, and sense things via the paw. 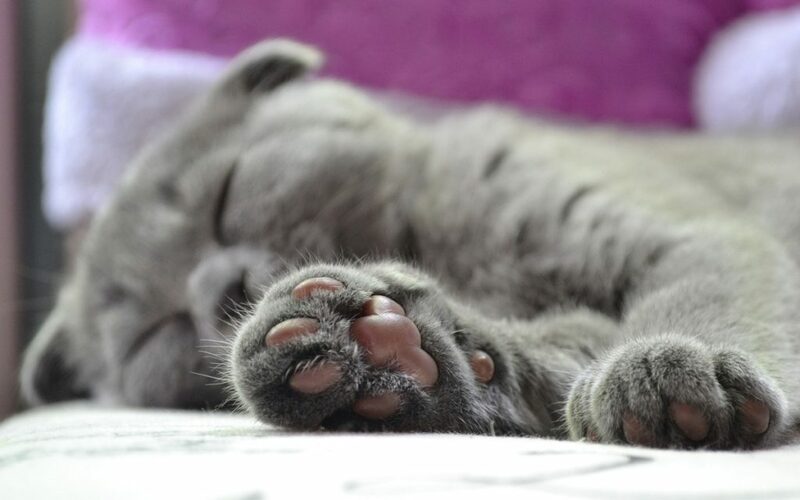 As it is regularly used, cat’s paw can be exposed to many harmful things that give some issue. One of the issue that can affect cat’s paw is swollen paw. Swollen cat’s paw can be a result from many things such as overgrown claws, other animal’s bites or stings, traumatic injury, plasma cell pododermatitis, or fracture. Swollen cat’s paw happens because there is an inflammation process occurred caused by one of the previous reasons. It is important to treat the swollen cat’s paw as it can give problem for cat from walking and may be a sign from other health issues. Here’s what you should do if your cat’s paw is swollen. Swollen paw can be the result of many things. Most cases of swollen paw caused by infection, caused by overgrown claw, insect bite or sting, or puncture wounds. It can also caused by broken bone. The treatment of the swollen paw will depend on the cause, that’s why cat owner needs to examine the swollen paw to find out the cause of it. It is also important to know what you should do if your cat’s paw is swollen. Examine if there is any overgrown claw. A cat claw needed to shed, and the shedding process can be done either by the cat clawing behavior or trimming the cat’s nails regularly. If the cat doesn’t shed the claw, the claw will grow and curve that can penetrate and damage the paw pad. The damage overgrown claw did may cause inflammation or infection which resulted in swollen paw. Another thing to examine when the cat’s paw swollen is if there is any bite or sting. Cat can get insect bite or sting on its paw when its batted at insect. Bee sting can give cat a huge swelling but usually not too painful. It still can give allergic reaction for cat. If the sting doesn’t get infected, the swollen paw will shrink in 24 hours or less. The vet may give the cat some medication to help reduce the swelling and stop the allergic reaction. For other animal’s bites such as spider, scorpion, that can give more painful and severe swelling, it is a must to bring the cat to the vet as there may be any necrosis of the tissue. We also need to examine if there is any foreign object or cut on the paw. You may need to look for every corner of the paw and between the toes since it can be very small. If there is any pus discharge or the paw feels warm when you touch it, it may be a sign of infection which is usually need antibiotic treatment. If the cut or object embedded is deep and there is any infection, you may need to go to the vet. Infected wound needed to be treated as soon as possible with right and sterile procedure which can only be given by the vet. The infected wound can make any worse condition if it isn’t treated early. We also need to examine if there is anything wrapped tightly around the cat’s foot or paw, such as plastic bag. The tight wrapped around the foot can limit the blood circulation to the paw that resulted with swelling in the area. If there is any wrapped, then you may need to remove the wrapped to ease the circulation. Also check if there is any broken bone. It is usually a hard thing to do if the paw is swollen and there is no open wound. If so then you have to bring the cat to the vet. If you can find any broken bone, like there is any sign of open fracture, then you must minimize the movement on the area and go to vet immediately. Some swollen paw cases, such as the one that cause by minor scrapes, can be treated immediately in home, although you may need to go the vet later to have more examination. Cat owner must keep the wound area clean by cleaning it every day. There are also different types of litter needed to prevent contamination to the wound. We may need to cover the wound as an open wound is more prone to infection. To help reduce swelling we can give the swelling area an ice bag. You can make it by putting the crushed ice inside the plastic bag. If there is no improvement for a week, then we should bring the cat to the vet. Not all the cause of swollen paw can be treated immediately by the cat owner. Its wiser for the cat owner to let the vet treat the case if you are not sure about what you should do if your cat’s paw is swollen. If you have some trouble or not sure about how to treat the swollen paw cat, it is always a better choice to go to the vet. The vet can diagnose and do careful examination of the paw. The vet may give some question to the cat owner to find out more about the issue. Sometimes, physical examination is not enough that the cat must undergone X-Ray and the sedation may be necessary. The treatment of swollen paw will varies based on the cause of swelling, such as trimming overgrown claw, removing foreign objects, cleansing and giving antibiotics for infected wound, and a splint for broken bone. After given the treatment, the vet may give some instructions for the cat owner to follow for wounded cat’s care. As we already know what you should do if your cat’s paw is swollen, we also need to prevent the issue not to happen in the future. To prevent for swollen paw, we need to protect the cat from what causes it. Prevent any injuries on the paws, keep away any sharp objects, regularly trim the cat’s nail and examine its paws for any signs of injury such as bite or sting, wound, and infection. So if there is any problem, we can treat it early to prevent any issues which can lead to inflammation.